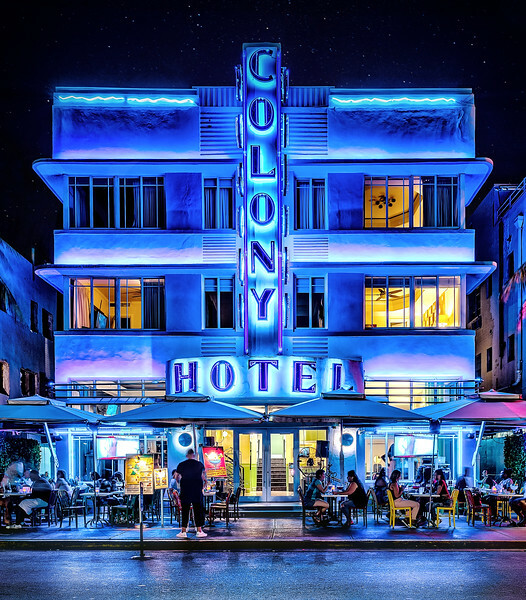 South Beach has an incredible history that dates back to the early 1930's. Sitting on the edge of the Atlantic, it's bold and brash and makes no apologies for it's historic glitz. The blue neon flare of the Colony has been frozen in time since 1935. Back in the day, it was a winter refuge for wealthy northerners seeking the warmth of the Florida sun and white sandy beaches. Today, the Colony still stands as a proud testament to the art deco movement that swept south Florida so many years ago.